Our train from Salzburg to Vienna was around 11am and going to take about 3 hours. It was another busy train, but Dave and Jen got to sit together this time, and Luke and I went back up to first class again. Luke and I were actually the only ones in our car for a while which was nice. 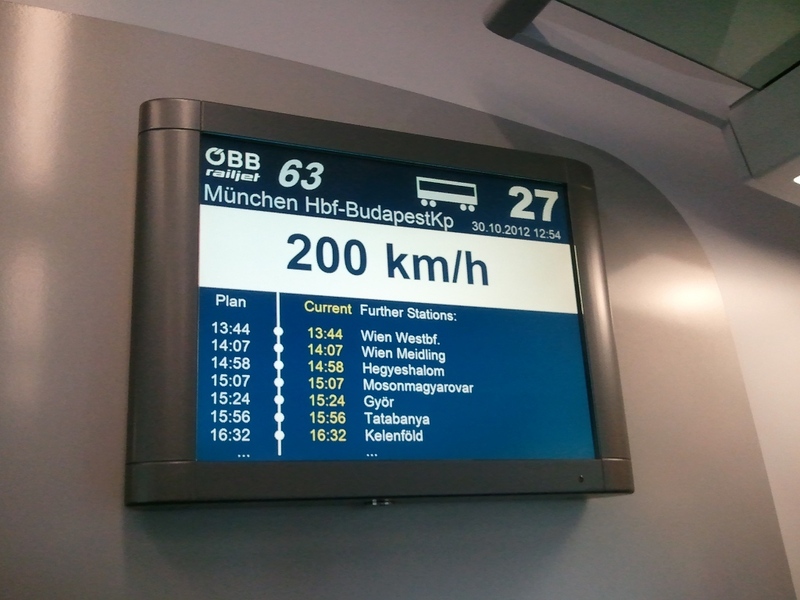 We thought our train from Innsbruck to Salzburg was high speed, going at 160km/h (99mph), but this train was even faster. The nice thing about these trains is they don't make as many stops, so they can go faster. 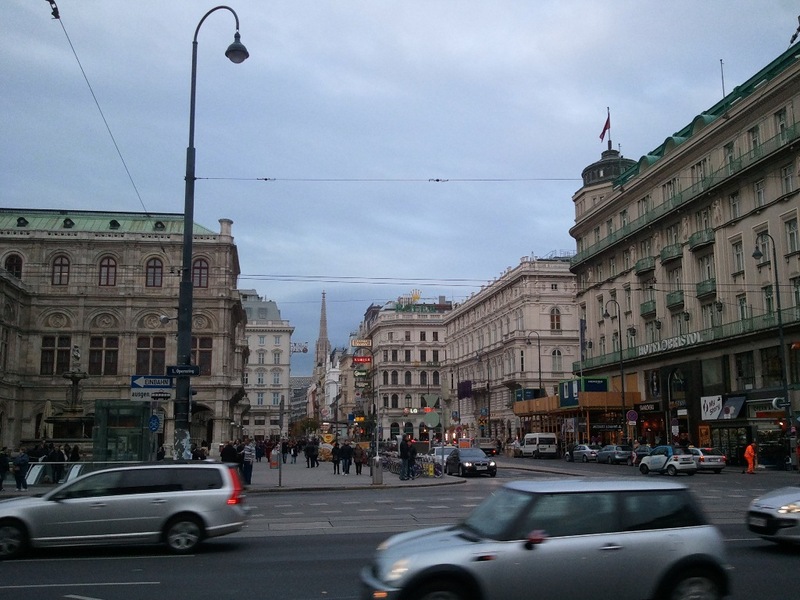 When we got to Vienna, we walked about a mile and a half to our Hostel to put our things down. 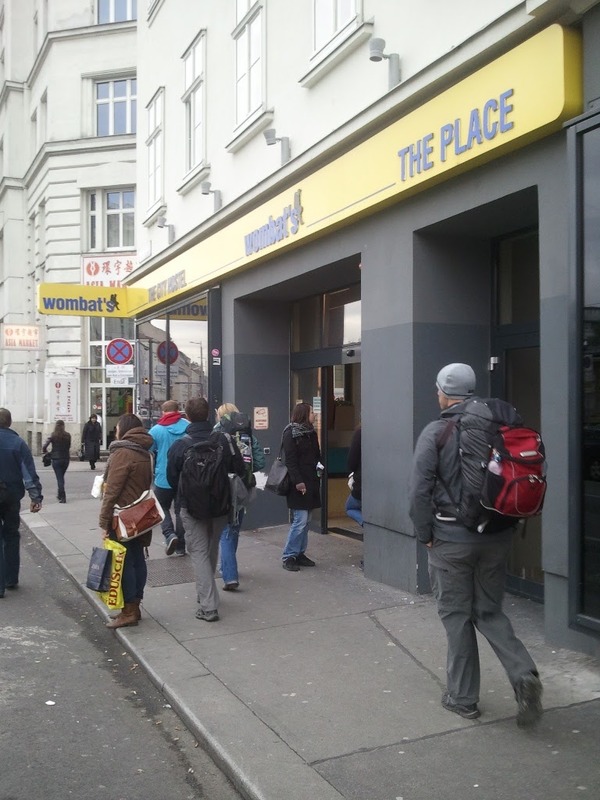 We stayed at Wombats City Hostel Naschmarkt located at Rechte Wienzeile 35. Since this was my first experience in a real hostel, I am going to explain this in another blog later... stay tuned for that! 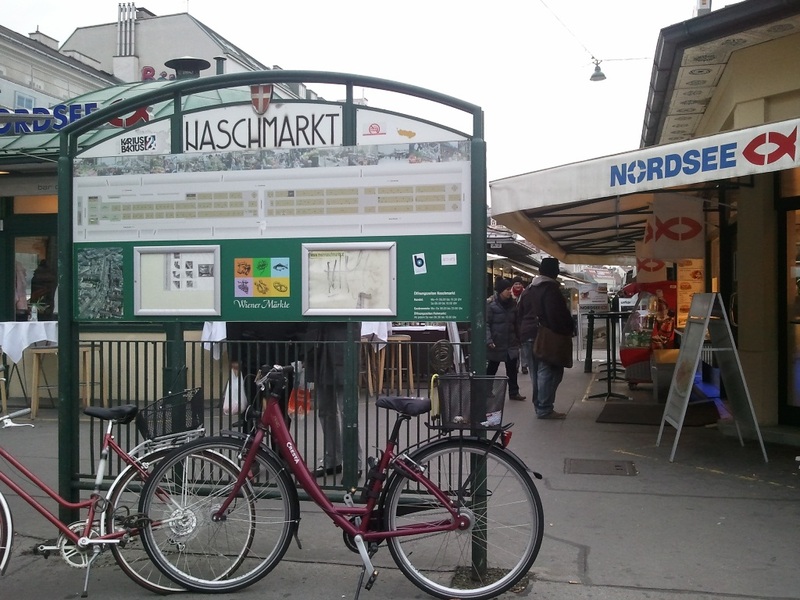 We walked through Naschmarkt which was right across the street from the Hostel. 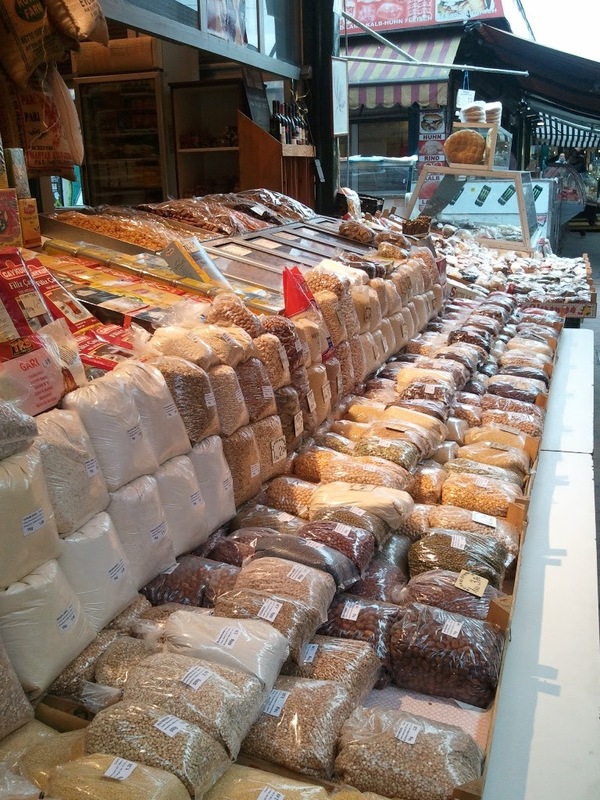 It had hundreds of vendors with a large variety of different foods, treats, meals, wines, souvenirs and more. 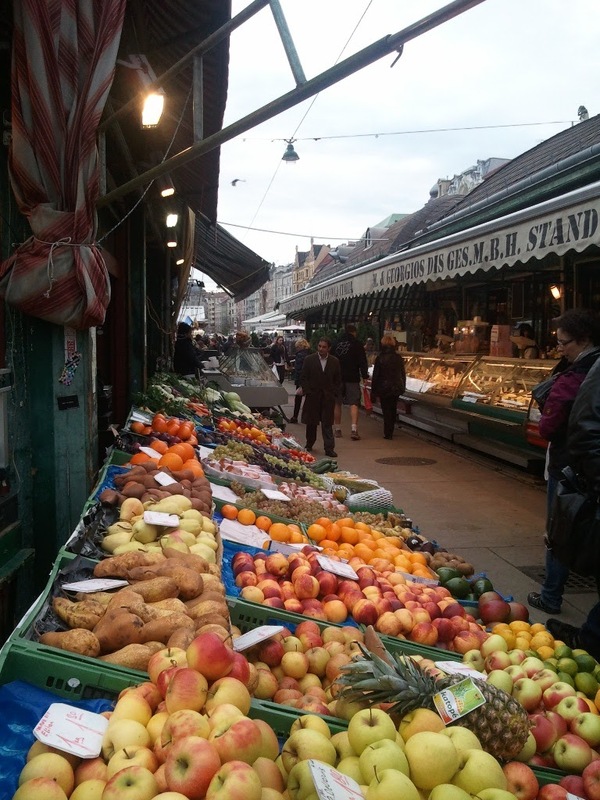 We were pretty hungry, so we thought it was time to get a kebab since this market is supposed to have the best. You see, in America, the drunken food is Whataburger, Taco Bell, pizza, Lucky Dogs, anything fast food. 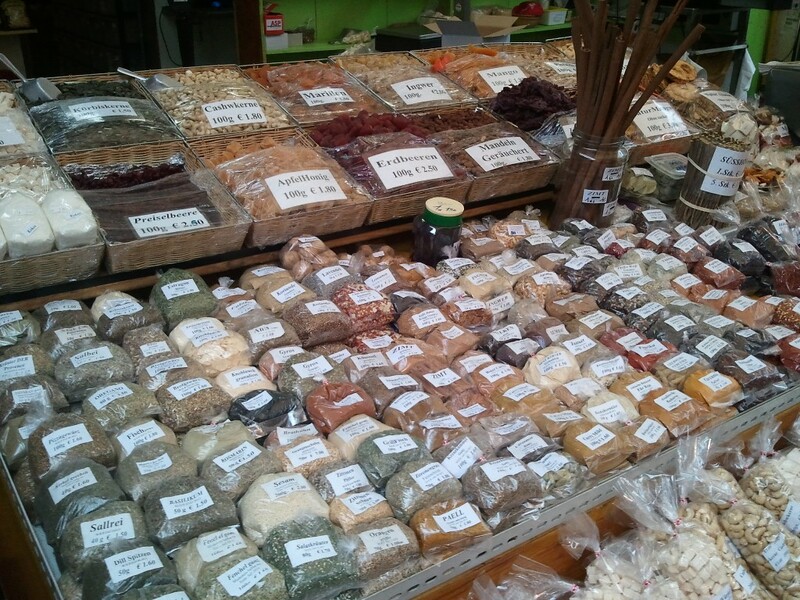 In Europe, the drunken food is Kebabs. And in Bavaria, they are called Doner Kebabs or Kebaps. We weren't drunkenly wanting kebabs, but Luke had been talking about getting one since the start of the trip. It was finally his time! 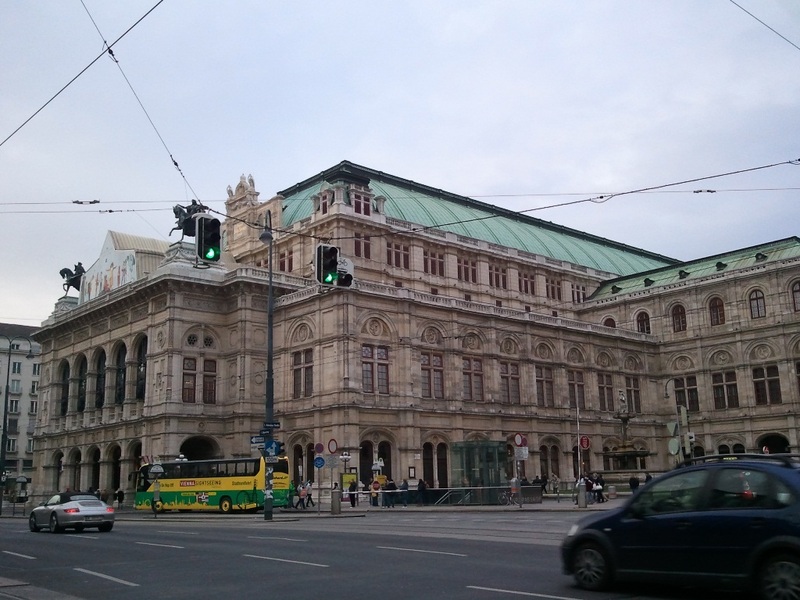 We headed toward the Ringstraße which is a circular ring that surrounds the main tourist area of Vienna, and stayed along that path for a while looking at the architecture. 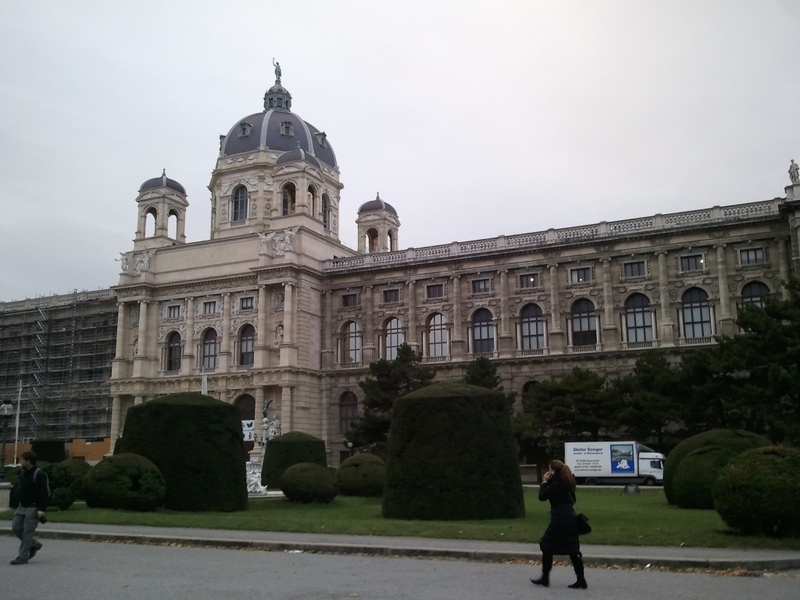 Vienna is FULL of museums! 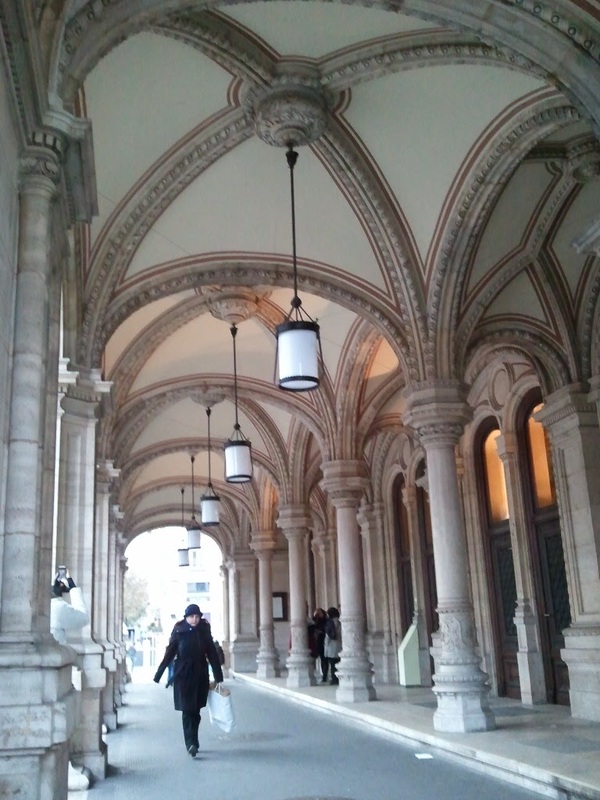 Right: the University of Vienna has some awesome architecture! After a while, we thought it was time for a drink, so we began to search for a place to stop. 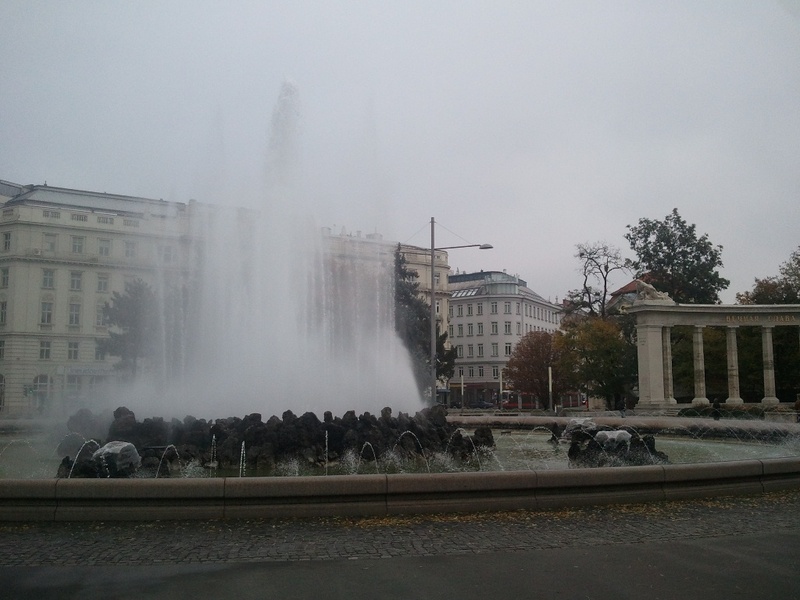 Unfortunately, Vienna is a big smoking town, so everywhere we went we had to deal with the smoke. It was getting close to dinner, so we took the advice of the Wombats (hostel) which said to go to the Bermuda Triangle which would have a few different bars and restaurants from which to choose. We ended up at Krau Krau for a few drinks and a light meal. 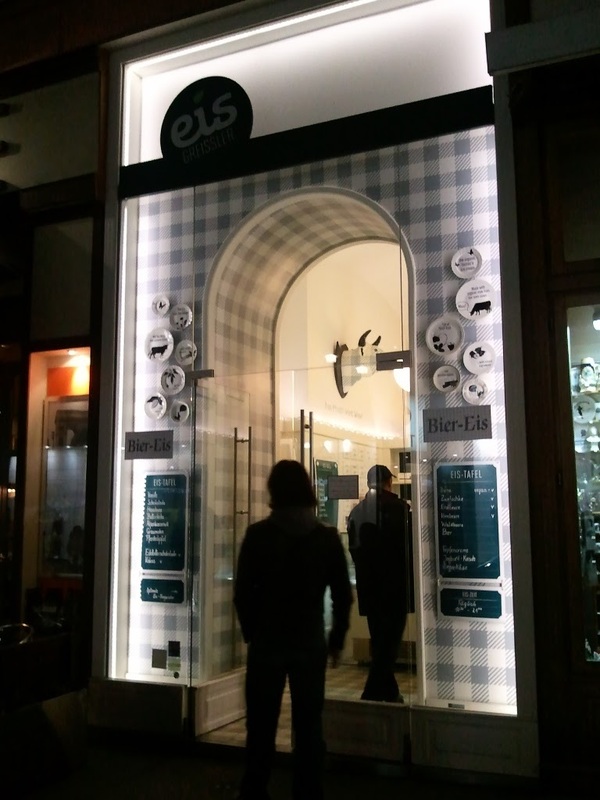 Afterward, I found a yummy ice cream place... I finally got my fix! 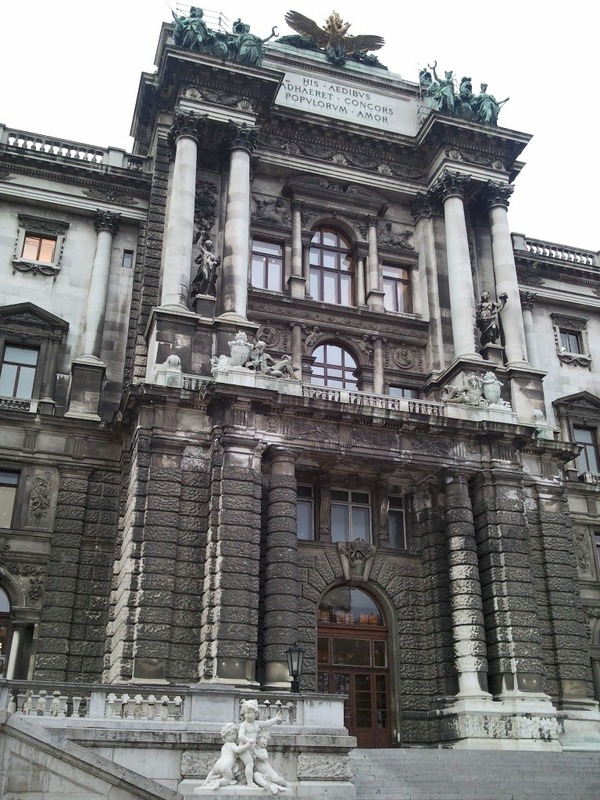 We headed toward the Danube River... 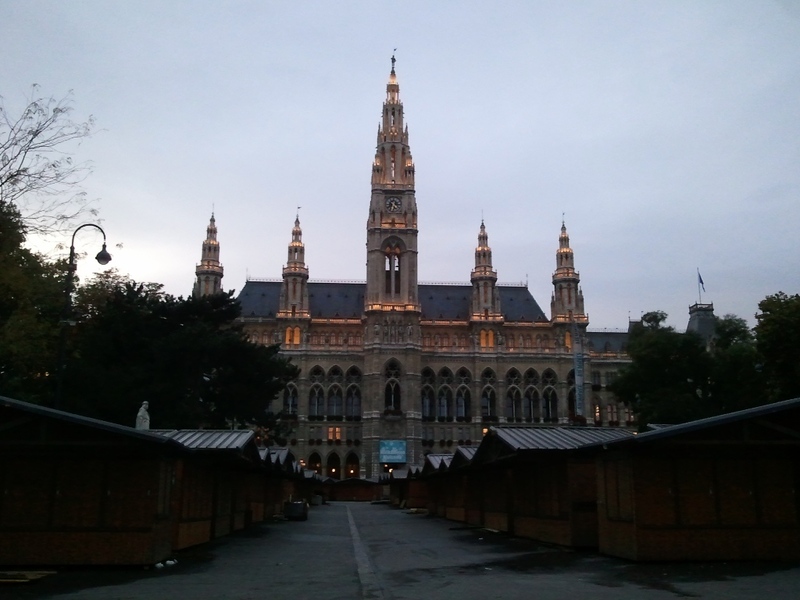 I finally got to see the Danube! 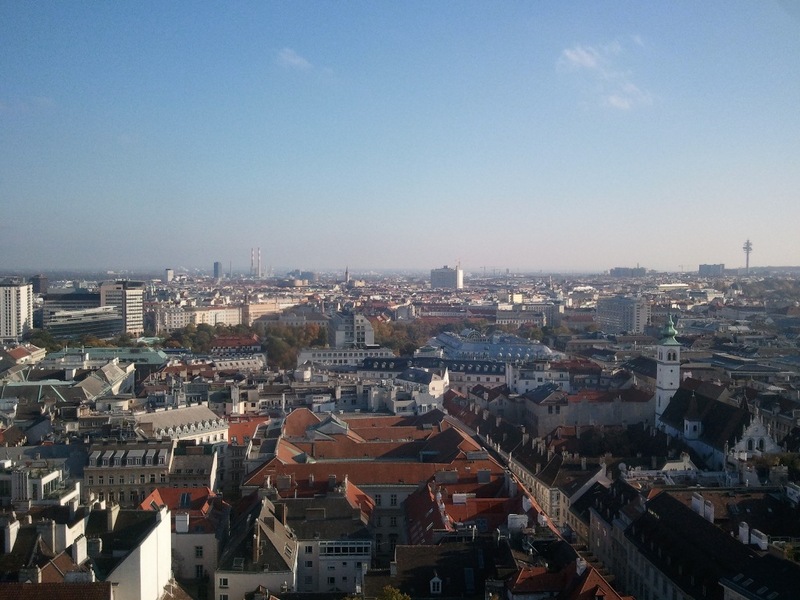 <Running joke with Luke and me that the German word for river is Danube.> Anyway, we didn't exactly see the Danube because it was on the other side of town, but we did walk along the Danube Canal which is the same water, so okay, maybe it is the same thing! 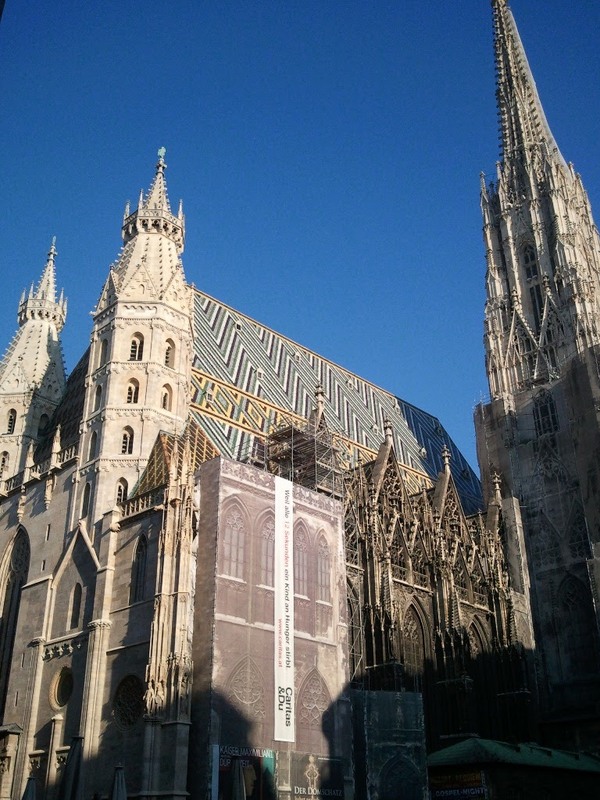 We headed back toward the main area of town which is where St. Stephens Cathedral is. The thing is huge!! On Wednesday morning, we made use of the breakfast in the Hostel cafe. It was not free ,but it was cheap. 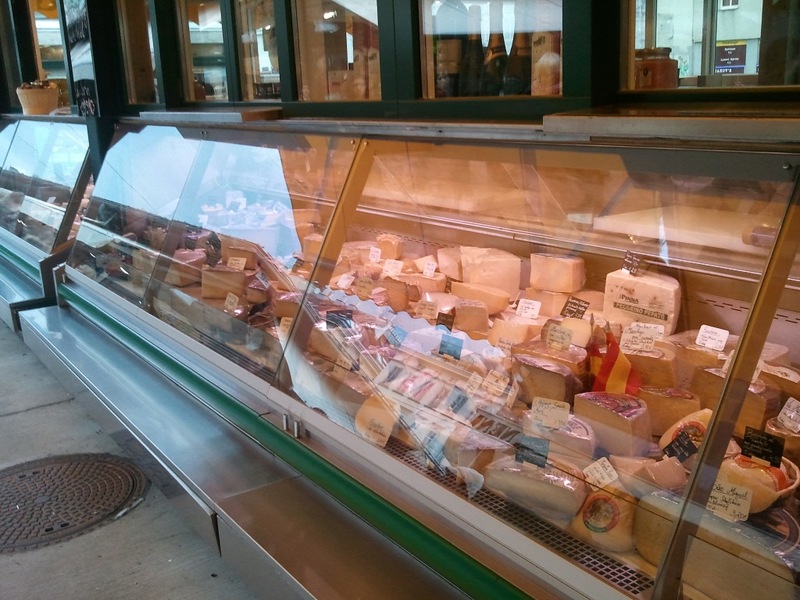 Even though there were signs saying not to, we made sandwiches for lunch since they had all of the fixings. 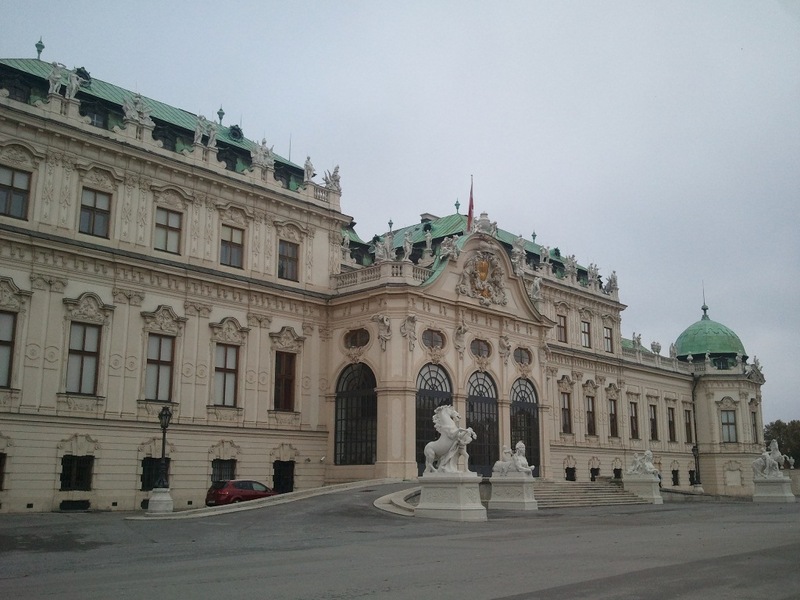 We decided to walk to Belvedere Palace which was more out of the way than any other site we wanted to see. 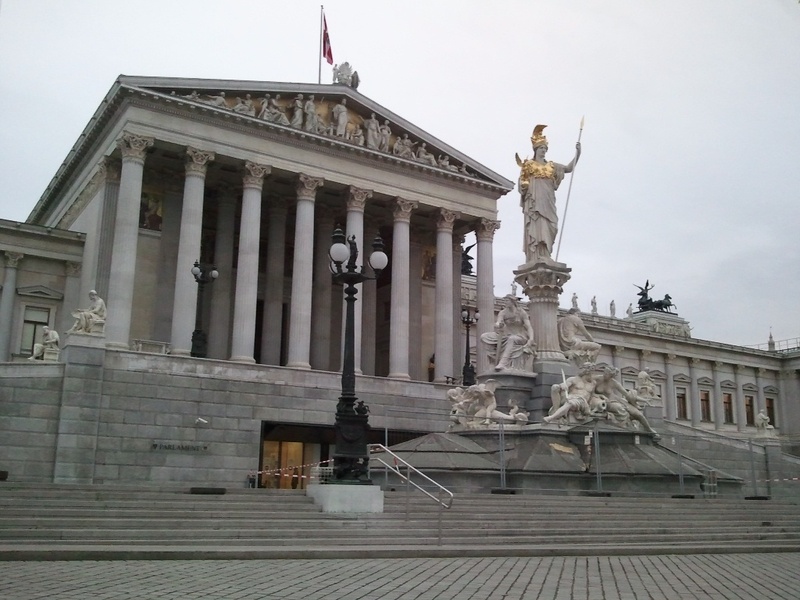 It was actually much farther than we expected, but that is because Vienna is bigger than you would expect. We did not know where the entrance to the gardens was so we walked to the general area. We ended up at the top of the gardens and didn't see an entrance, so we walked along one side of the gardens until we reached the entrance. We couldn't see into the gardens because a giant wall encloses the gardens... frustrating because we walked for about 3/4 of a mile along this wall. And 3/4 mi isn't even the whole length of the gardens... it goes probably 1/2 mi longer! We entered the gardens and decide to purchase tickets into the Art Museum. While we were inside the museum, the sun came out! Yay! Our plan is working perfectly (...coming soon...)!! After completing the art exhibit, we discovered that there was an entrance at the top of the gardens (where we started earlier), but it was around the corner which we didn't see. Anyway, we were able to walk through the gardens to leave. 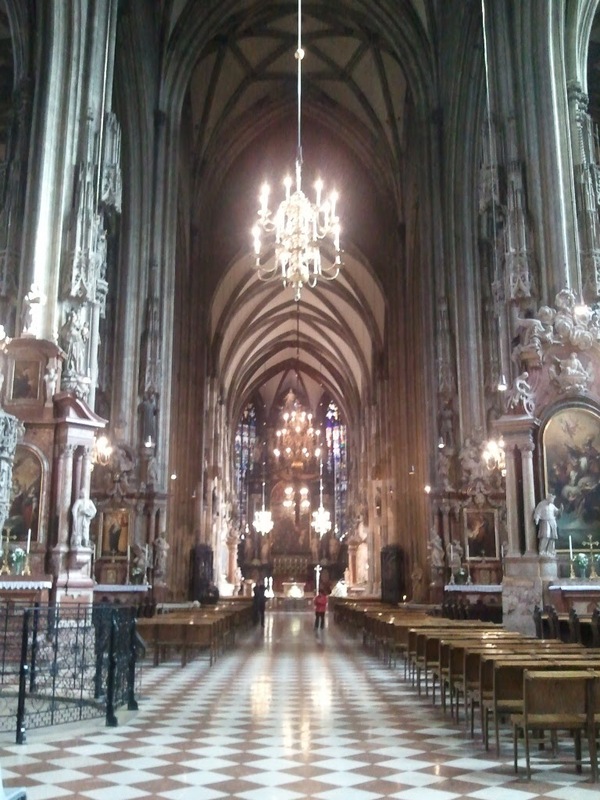 We stopped for a drink and went to St Stephens Cathedral which was our second plan for the day. 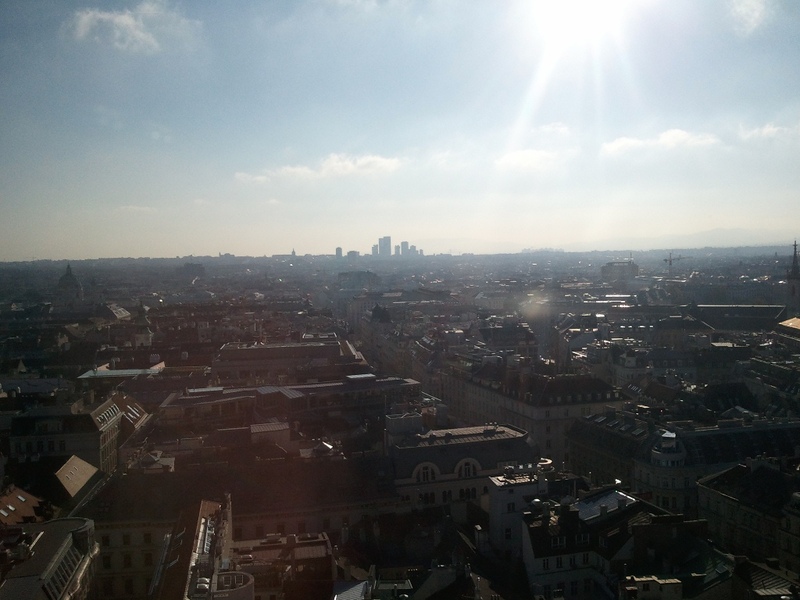 We were hoping the sun would be out because we all wanted to climb one of the cathedral towers. And it was so yay! 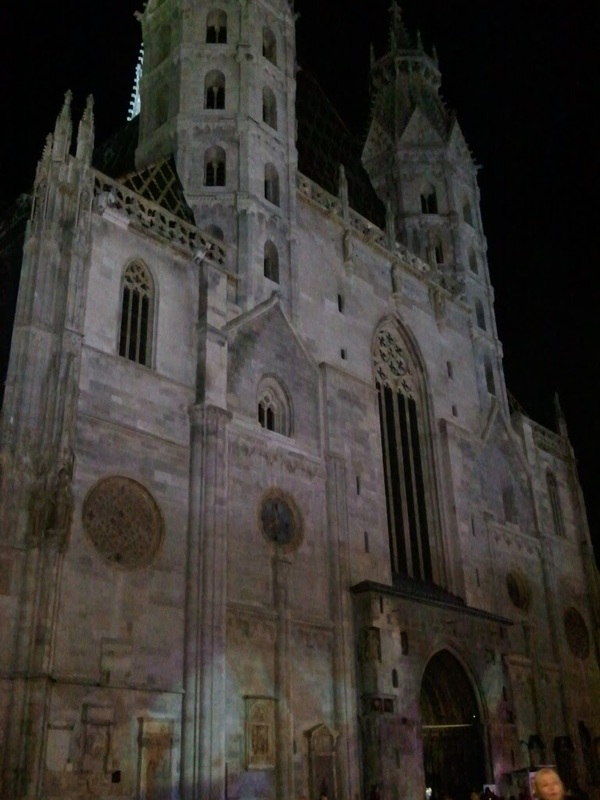 Right: Here is the daytime picture of the Cathedral. 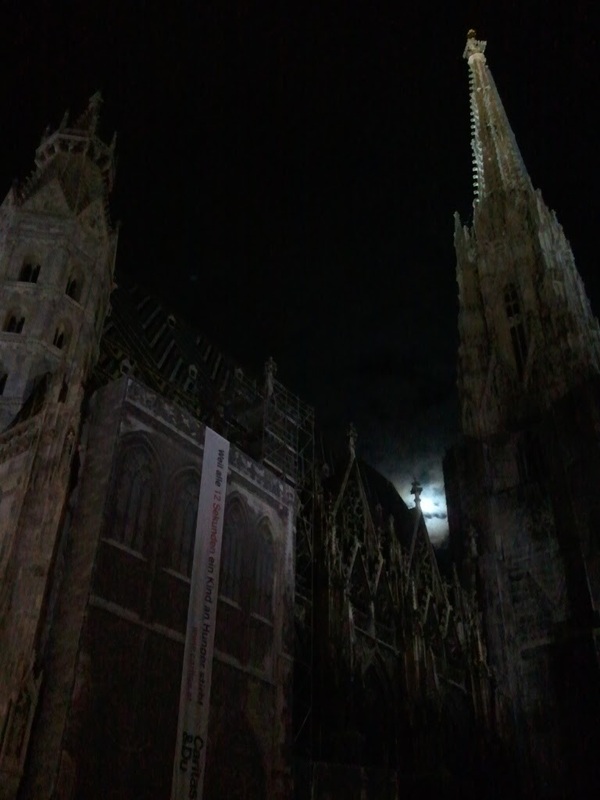 We didn't realize when we walked by the night before that it is covered in scaffolding. Can you see the scaffolding? They build scaffolding with the design of the building, so you can hardly tell. 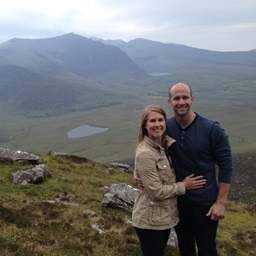 After taking a look into the cathedral, we went around to the other side to start the climb. 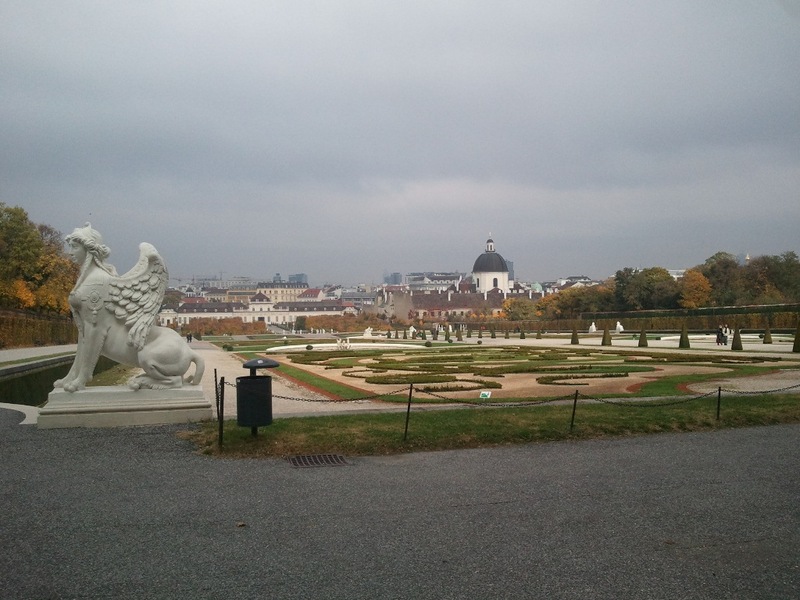 Left: View of the Cathedral from Belvedere Gardens using the long camera lens. That tall tower is the one we climbed but we could only go as far as stopping right before the skinny part. 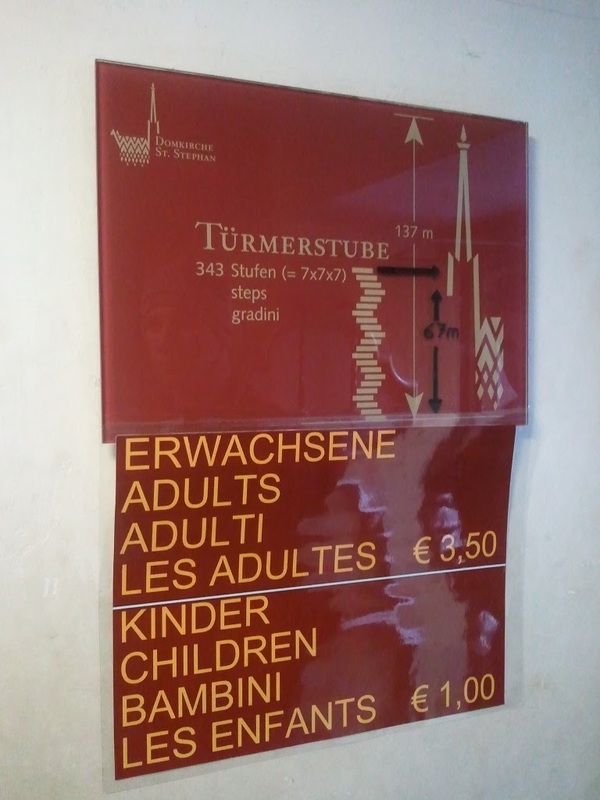 Right: We climbed 343 steps, 67 meters, in the tower. All in a spiral staircase. Below: There were four windows to look out in the tower. 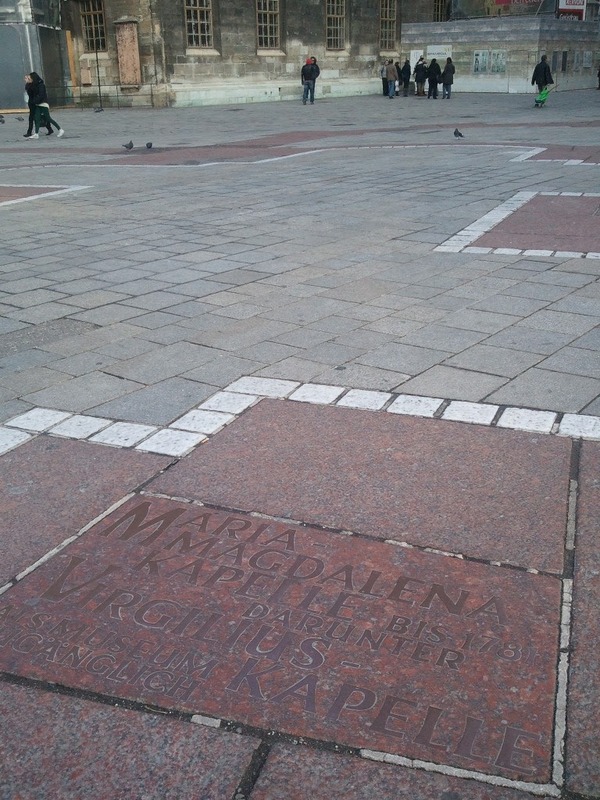 Looking down at the square. 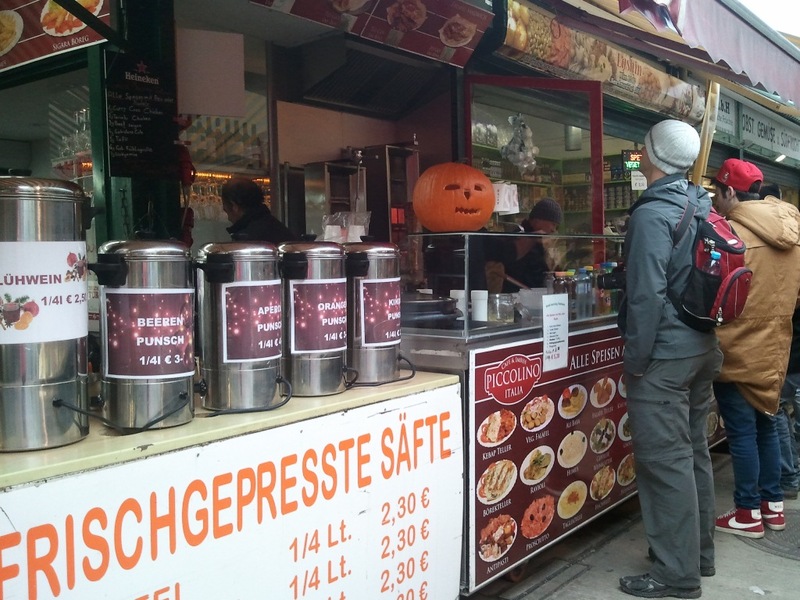 We all needed a little boost, so we stopped for some coffee before heading back to Naschmarkt for another kebab. Jen and I stuck around the market and had some wine while the boys went to the grocery store to pick up food to make for dinner. We ate our dinner and hung out in the cafe while we looked for a place to stay in Zurich, which is where we were headed two days later. We made our breakfast and then left for the train station. Construction around the train station made it difficult to find our train... to Bratislava! 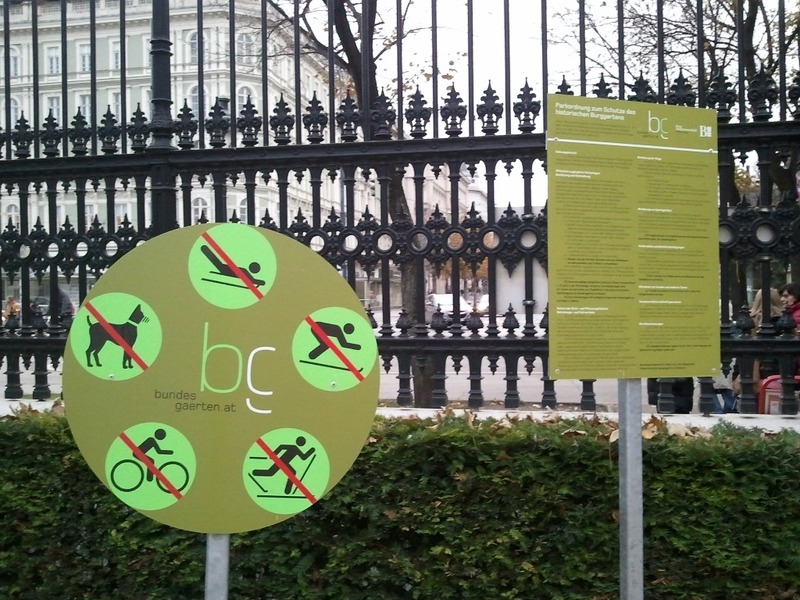 Why do I love Vienna? The town is more lively than other towns we visited. It would be a fun town to do a study abroad if you were in college. 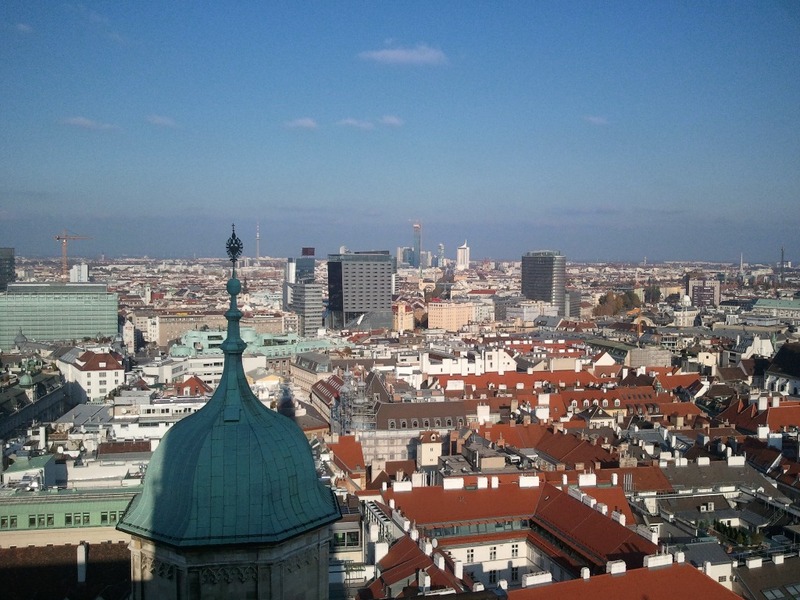 What surprised me about Vienna? 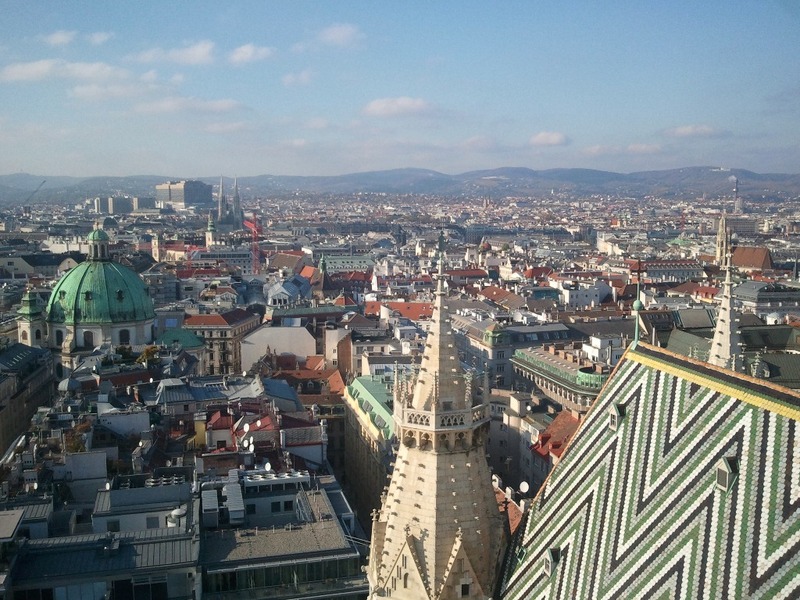 Vienna is larger than the other towns we visited. Maybe, the sites are more spread out that the other towns, but there is quite a bit more traffic than any other town. The tram system is pretty large and useful, but there were still quite a bit of cars on the roads. 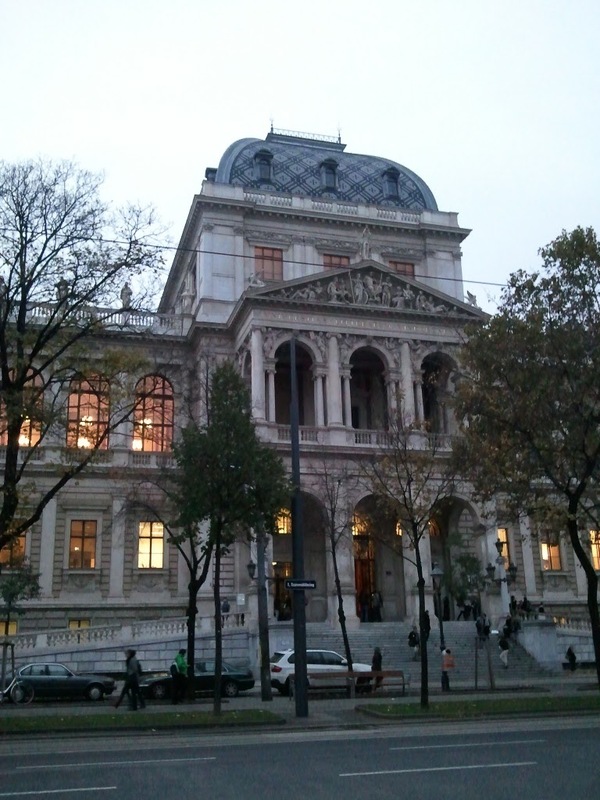 Vienna was the home to Sigmund Freud. 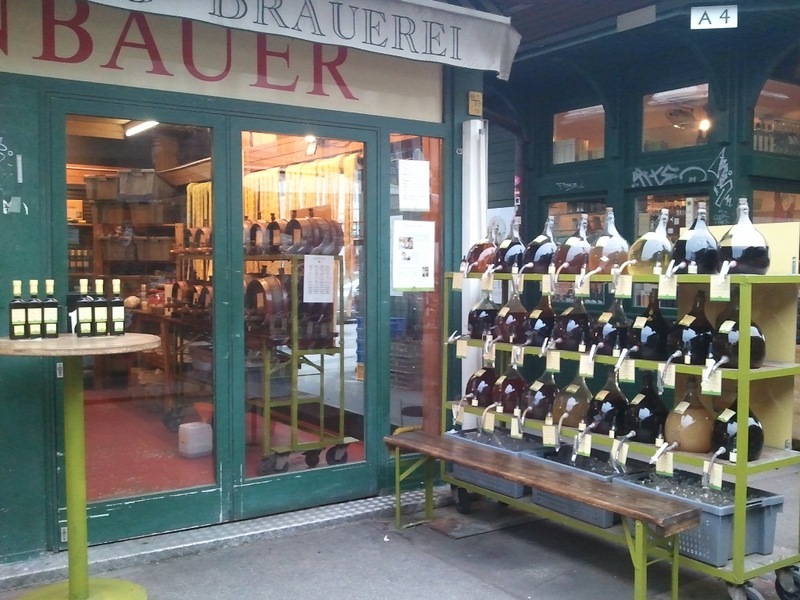 We bought 2 pitchers of beer and a glass of wine at the Wombar for 8 Euro (approx $10.15)!! That's a great picture of you and Luke in front of Belvedere. And also, you always take great pictures of cathedrals. Mine never come out that good!